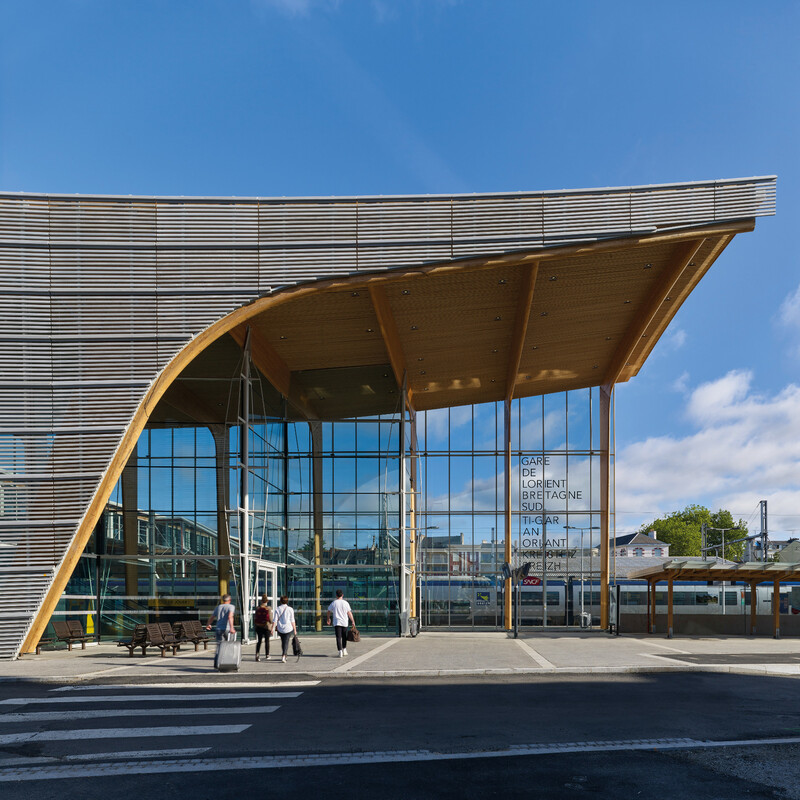 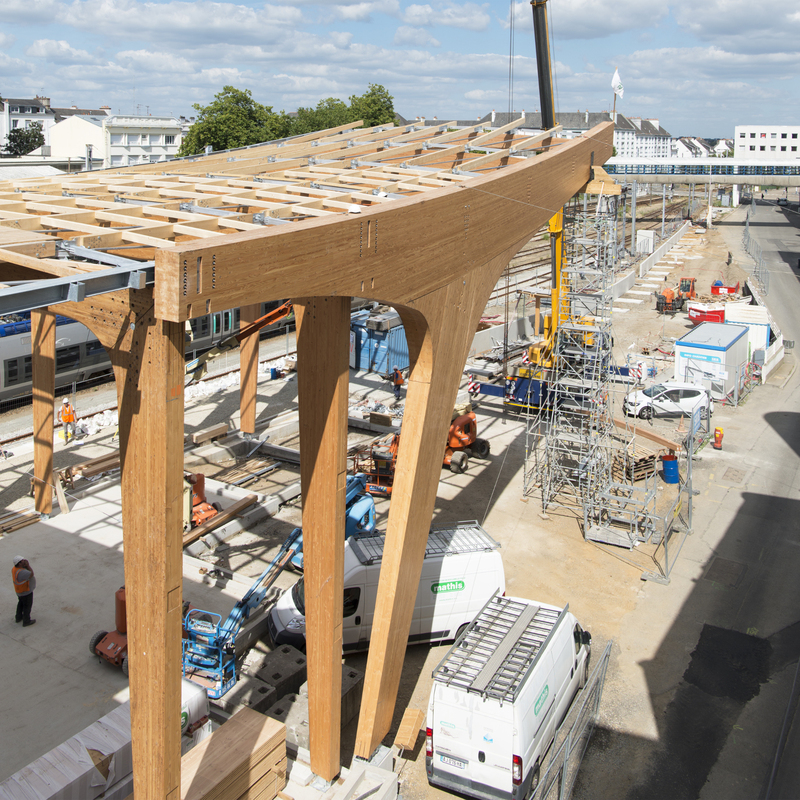 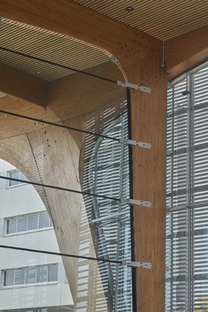 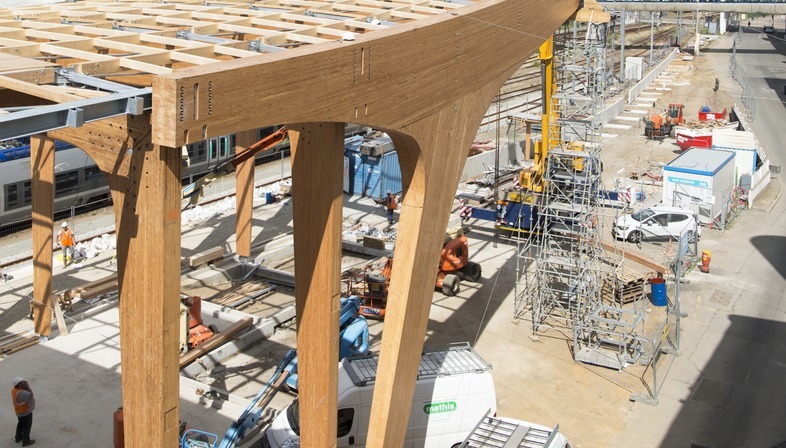 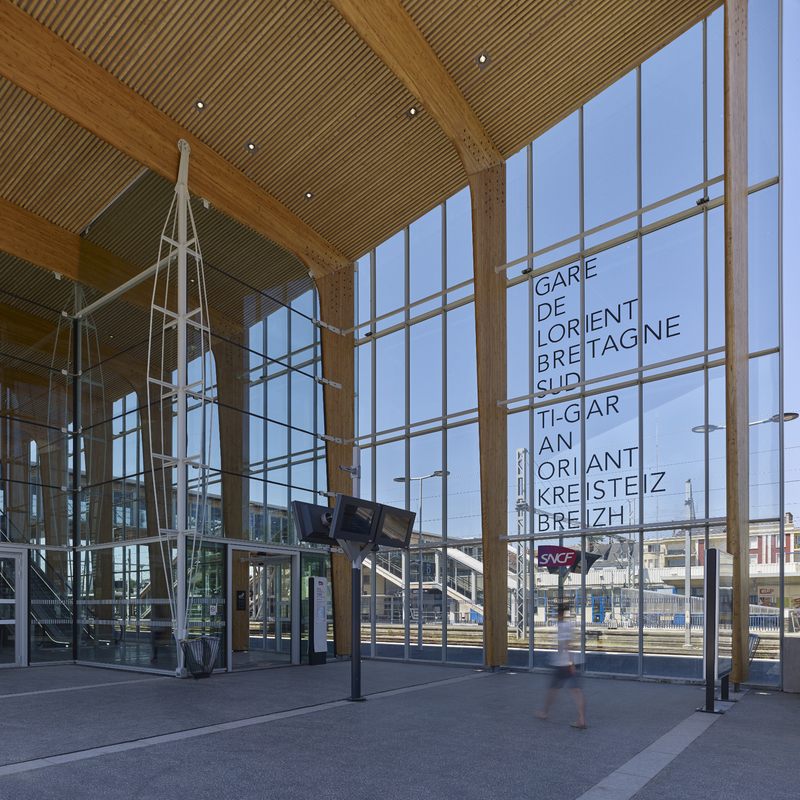 AREP designed the new Lorient-Bretagne sud railway station with a mixed steel, concrete and laminated timber structure, in which the timber prevails, giving classic railway station architecture a new look. 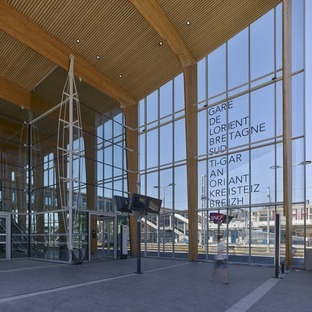 The architectural composition is divided into a passenger terminal to the south, containing the usual administrative functions and a number of commercial functions of the type now present in all railway hubs, and a bridge-like building that crosses over all the railway tracks to the other side, ending in a platform connecting the two sides of the city which had been divided by the railway line. 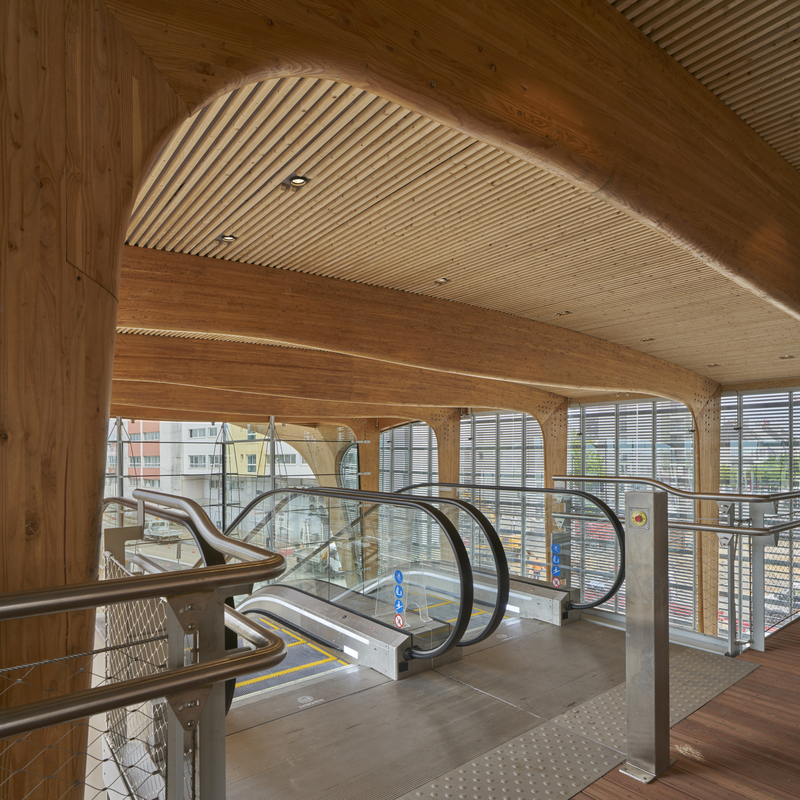 In this latter volume, the architects created laminated Douglas fir timber structures 12 metres high on which the floor slabs of the two levels requested by the client rest. 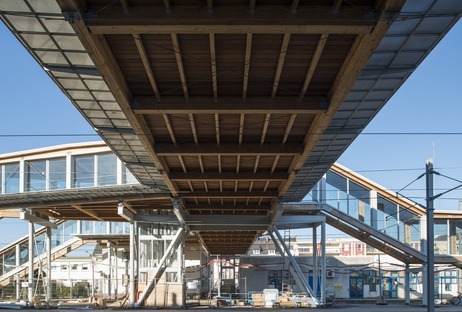 The 60 metre long, 7 metre wide bridge connecting the station’s two sides is also made of timber, with beams and pillars only 40 cm thick, braced with lightweight, almost invisible steel tie rods that underline the choice of material. 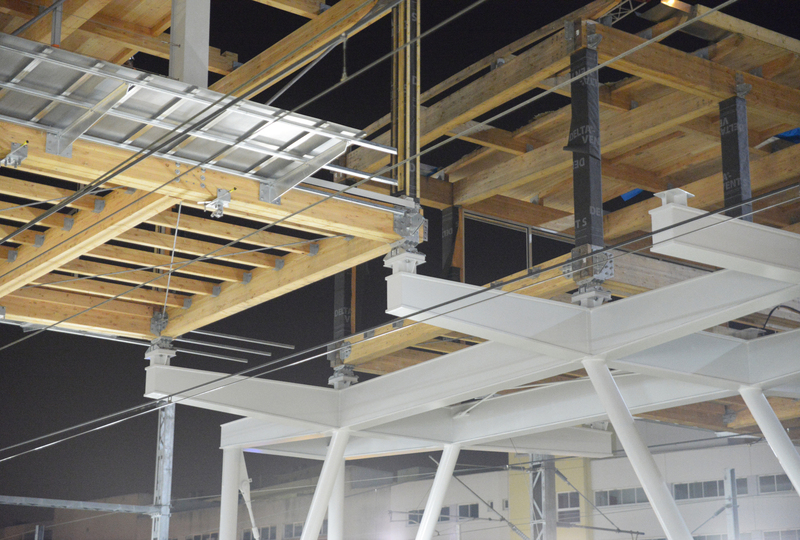 The two 30 metre bays making up the bridge were prefabricated and transported to the site for assembly on previously erected steel piers. Use of wood in a railway station may go against the trend, but it gives the station a more hospitable feel, creating a warmer atmosphere. 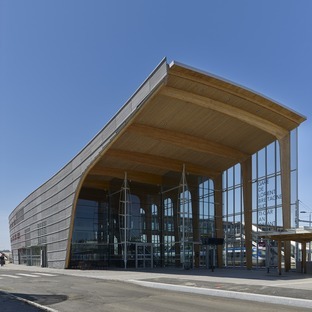 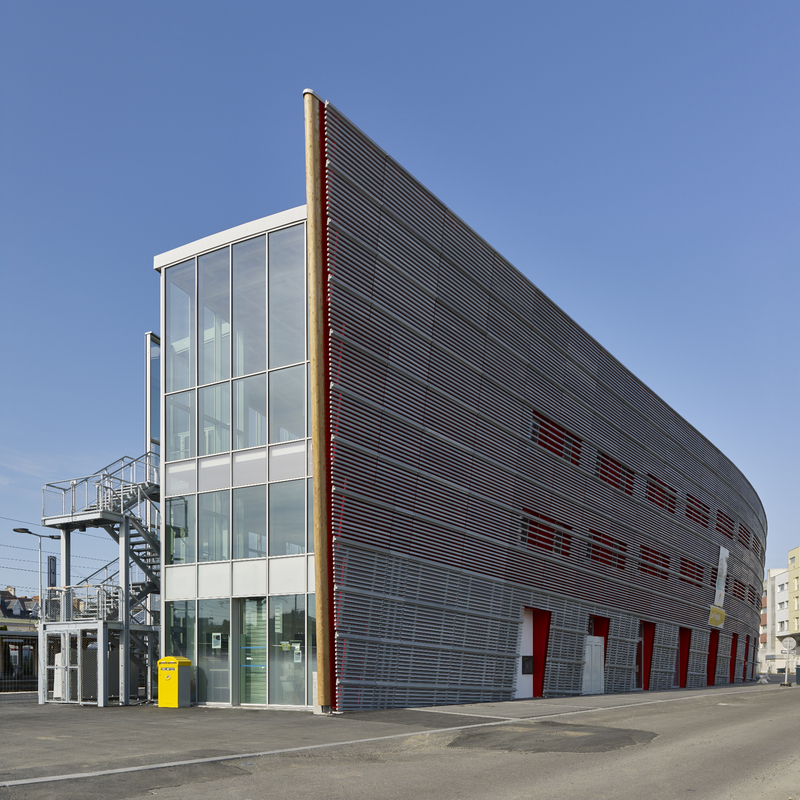 The only material that appears surprising in this context is the ultra-high performance fiber-reinforced concrete (UHPFRC) used in the screens on the façade of the passenger terminal, painted red and screened by metal profiles. 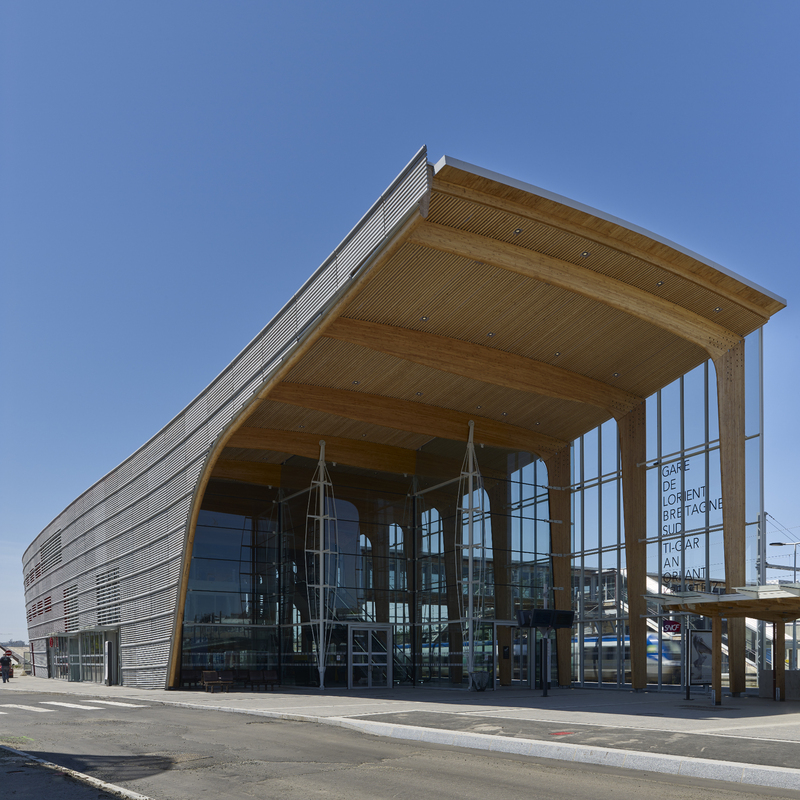 The entire project is inspired by the tuna fisheries of Île de Groix, visible to travellers arriving in Lorient sud. Consultancy for the envelope: Timber frame and metal structures: Mathis et Baudin Châteauneuf Façades: A.C.M.L., Foundations and concrete structure: S.R.B. 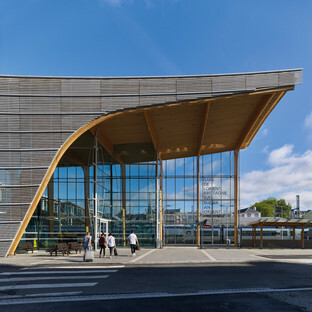 Tasks: Consultancy role in support of the contracting authority for the district in the vicinity of the station, preliminary studies regarding the public spaces, design and operational studies.